I tend to travel with snacks. I’m not much fun to be around when I’m hungry, and sometimes — particularly when I’m hitting the gym a lot or logging lots of miles — I will go from zero to hangry within half a whiff of a toasted bagel. So, I try to be like a Boy Scout and leave like a tree. Wait — that’s not right. I mean be prepared! Boy Scouts are supposed to be prepared! I’ve had a couple of snack bar options show up recently that I’d never heard of before, and they’ve got some pretty interesting textures and flavors going on. Here’s the scoop on some gluten-free, minimal-ingredient goodies I’m noshing on now. 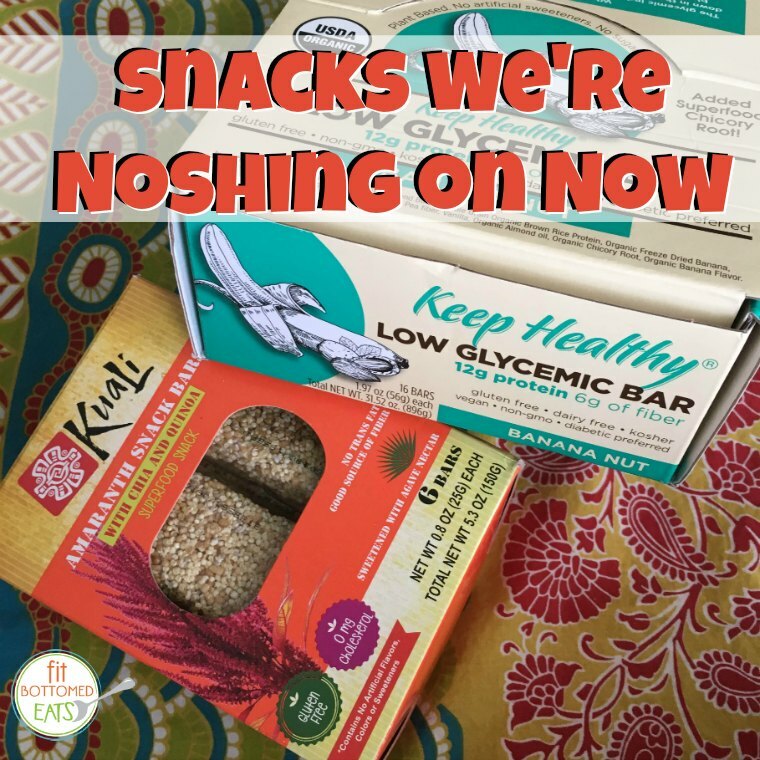 Jenn mentioned that we’d tried the Kuali Amaranth Snack Bars With Cocoa and found it … not to be our favorite. However, I think it’s important to note that, since then, I’ve gotten pretty attached to both the version with cranberries and the one with chia and quinoa. They’re just a little sweet, light and chewy. They don’t crumble all over, and they’re only ever-so-slightly sticky (a serious pro for someone like me who likes to snack in the car but loses her mind when her steering wheel gets sticky). These Amaranth bars are a true snack bar, with just 80 calories, 2-3g fiber and 1-2g protein — you’re not going to substitute one for your meal. But that’s fine with me since I tend to just want a little something to tide me over and keep me from throttling the next person who crosses my path. I’ve gotta start out by giving props to Keep Healthy for having a pretty extensive selection. The brand offers protein bars, low-glycemic bars, date bars and more, all in a variety of flavors, and all with the intent to provide tasty nutrition with minimal ingredients. My favorite from the line was the Fruitkies bar — especially the Cherry Walnut, but all the flavors I tried were downright delicious with a super short and easy-to-read ingredient list. The Protein Bars and Low Glycemic bars were considerably less craveable — they were both quite dense and a smidge on the dry side, but they but packed serious scent appeal (the Apple Cinnamon Protein Bar smelled like a pie, for real, and the Banana Nut Low Glycemic Bar smelled just like banana bread) as well as plenty of protein (like 12 to 15 grams). If I were looking for something to serve as my actual breakfast (and had plenty of water handy), I’d be happy to have these on hand, but in terms of the one I’m going to reach for when it’s snack time, I’m all about the Fruitkies. I always try and find protein… sometimes that means a Snickers bar.